A Garda accused of theft of over €3,000 in overtime allowances, for duties it was claimed he did not perform, has been found not guilty by direction of a Circuit Court judge as key prosecution evidence was ruled as 'inadmissible'. Ciaran Folan (44), of Ramstown, Fethard-on-sea, was accused of stealing €3,310.27 from his employer, the Minister for Justice. Garda Folan had pleaded not guilty to five counts of theft. The offences were alleged to have happened on dates between September 6, 2007 and January 31, 2008 when Garda Folan was carrying out temporary duties as a financial clerk at Clifden Garda Station. The jury heard that, Juliann Gill, who operated the payroll system for members of Clifden Garda Station, took maternity leave in June 2007, and that Garda Folan took over her duties. 'Ciaran Folan took over her position on a temporary basis; he stepped into her shoes,' said prosecuting counsel John O'Sullivan. The position involved Garda Folan 'processing people's pay, including his own,' he said. The job meant Garda Folan could not be rostered for weekend or bank holiday work, and as such, 'he was not entitled to claim for weekends or bank holidays,' Mr O'Sullivan claimed. It was alleged Garda Fallon unlawfully claimed over-time allowances for night duty and weekend work. He was accused of stealing sums ranging from the lowest amount €357.78 to the highest amount €1,056.64, which came to a total of €3,310.27. 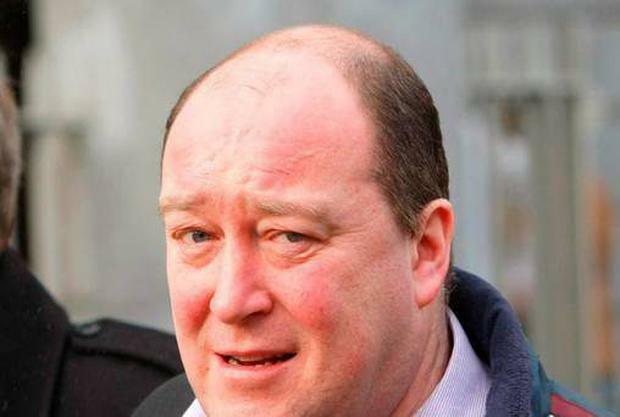 'The prosecution will prove payment slips were generated for Ciaran Folan, which meant that he got paid for work he didn't do,' Mr O'Sullivan alleged on the opening day of the trial. After hearing legal argument trial judge Tom O'Donnell found that payslips - which were to be used as part of the prosecution's case - were in fact 'inadmissible' as evidence. Judge O'Donnell directed the jury to find Garda Folan not guilty on all five counts'.